Our Multi-Platinum Music Ambassador is an Artist or Band who can contribute in a large capacity. This level of support starts at a $10,000 donation. Today we unveiled the Brand New IMac Lab and all the bells and whistles! Jeremy and Dom with Big Gigantic joined the Youth on Record, staff, students, some local musicians and press for this momentus occasion. 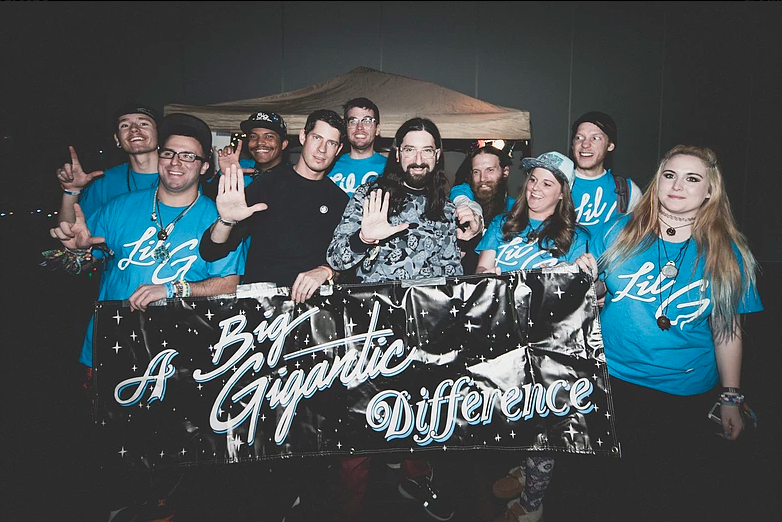 Colorado duo Big Gigantic has announced plans for A Big Gigantic Difference Foundation's 2017 charity project partnering with Denver's Youth on Record (YOR) with donations from Ableton and Native Instruments. All money raised by the Foundation in 2017 will go toward building out a permanent digital music computer lab at Youth on Record to be utilized by underserved youth in Colorado. To date, ABGDF has raised more than $20,000 and looks to raise over $50,000 by the end of the year for the YOR Computer Lab. To complete the lab, Ableton will donate discounted licenses for their acclaimed Ableton Live production software, and Native Instruments will be donating Komplete Audio 6 interfaces.